This year sees the centenary of the start of the First World War, Shakespeare’s 450th birthday, and the 70th anniversary of D-Day. But there are also significant anniversaries of a host of great composers, musicians and actors. Here are 30 dates in chronological order to put in your diary. The celebrated British composer, who died in November 2013, would have turned 70 on 28 January. There are commemorative concerts happening, including four at St. John’s, Smith Square, Westminster that reflect the enormous range of his compositions. The legendary harmonica player was born 100 years ago on 10 February. His brilliance inspired original compositions from the likes of Vaughan Williams, Milhaud, Malcolm Arnold and Arthur Benjamin. Three giants of British music – Elgar, Holst and Delius – all died 80 years ago in 1934. Elgar’s death on 23 February is marked with concerts around the U.K. including a performance of his popular Organ Sonata at Peterborough Cathedral. The brilliant Punch cartoonist died 100 years ago on 25 February. Lewis Carroll was a regular reader of Punch and after considerable negotiations, Tenniel illustrated the first edition of Alice's Adventures in Wonderland. The Elizabethan dramatist and poet was baptized in Canterbury 450 years ago, on 26 February. He was stabbed to death in Deptford at the age of 29. Prince Edward turns 50 on 10 March. The youngest of the Queen’s four children, he was third in line to succeed his mother when he was born. He is now eighth in the line of succession. The innovative Russian composer, one of the group known as ‘The Five’ was born 175 years ago on 21 March. He strove to achieve a uniquely Russian musical identity, inspired by history, folklore, and other nationalist themes. Born 300 years ago on 8 March, the highly influential composer C.P.E. Bach was the fifth child and second surviving son of Johann Sebastian Bach and his first wife, Maria. His second name, Philipp, was given in honor of his godfather – the composer Telemann. 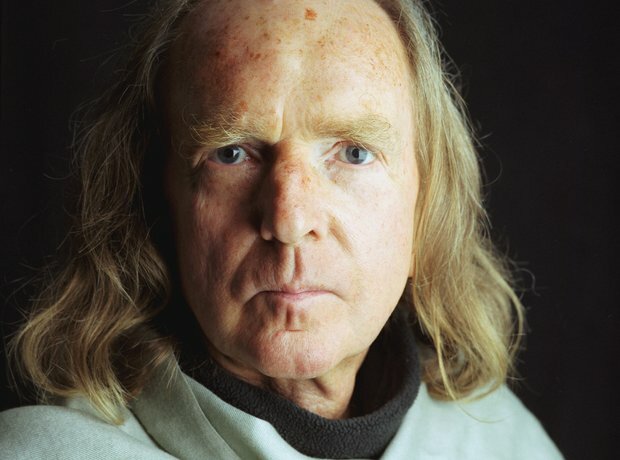 The British composer was born 70 years ago on 23 March. He’s the man who first used the term ‘minimalism’ in relation to music - in a 1968 article in The Spectator. Who can forget Guiness in those sparkling Ealing Comedies, including The Ladykillers and Kind Hearts and Coronets? Or his sinister Fagin in Oliver Twist, Colonel Nicholson in The Bridge on the River Kwai? Or Obi-Wan Kenobi in the original Star Wars trilogy? The actor would have been 100 years old on 2 April. Cinema’s first global superstar was born 125 years ago on 16 April 1889. Not only a brilliant physical comedian, Chaplin played piano, violin, and cello and composed the music for most of his films. 26 April sees the 450th anniversary of the baptism of William Shakespeare, simply the greatest writer of all time. There’s an astounding range of commemorative events and performances all around the world. The most successful stage composer of the 19th century, Meyerbeer – who died 150 years ago on 2 May – largely disappeared into obscurity as a result of Wagner’s anti-semitic assaults against him. The great Italian conductor was born 100 years ago on 9 May 1914. He was one of the few 20th century Italian conductors whose reputation was not tainted by associations with fascism. He died aged 91 in 2005. On 17 May, Glyndebourne opens for its 80th anniversary season. The first six-week season began on 28 May 1934 with a performance of Mozart’s The Marriage of Figaro followed by Così fan tutte. The composer Gustav Holst died 80 years ago on 25 May. Best known for his orchestral suite The Planets, he composed a large number of works although none achieved comparable success. The allied invasion of Normandy – known as D-Day – commenced 70 years ago on 6 June 1944. The allies sustained 12,000 casualties; Germany between 4000 and 9000. Delius died 80 years ago on 10 June 1934. The year before, Elgar visited Delius and the two men took to each other. A warm correspondence ensued until Elgar's death in February 1934. Elgar described Delius as ‘a poet and a visionary’. The early classical composer Gluck adopted a radical new approach to opera in the 1760s. Orfeo ed Euridice and Alceste are among his masterpieces. He was born 300 years ago on 2 July 1714. Strauss was one of the pre-eminent composers of opera in the early 20th century. He is known for Der Rosenkavalier and Salome, his Four Last Songs and such tone poems as Also sprach Zarathustra. He was born 150 years ago on 11 June. The Czech-born conductor and composer was born 100 years ago on 29 June 1914. He was music director of the Chicago Symphony Orchestra (1950–53), musical director of The Royal Opera, Covent Garden (1955–58), and music director of the Bavarian Radio Symphony Orchestra (1961–79). The First World War began on 28 July 1914 and lasted until 11 November 1918. More than 9 million combatants were killed in this, the fifth-deadliest conflict in world history. The American conductor turns 70 in 1 September. He is currently the music director for the Orchestre National de Lyon, after an illustrious career with such orchestras as the Los Angeles Philharmonic and the Royal Philharmonic. The soon-to-be-retiring Master of the Queen’s Music is turning 80 on 8 September. He was appointed Member of the Order of the Companions of Honour (CH) in the 2014 New Year Honours for "services to music". One of the most important French musicians of the Baroque era, Rameau replaced Lully as the dominant composer of French opera and is also considered the leading French composer for the harpsichord of his time. He died 250 years ago on 12 September 1764. The Austrian conductor and champion of ‘historically informed performance’, Nikolaus Harnoncourt turns 85 on 6 December. Starting out as a cellist, he became a pioneer of the Early Music movement and has performed all over the world. 21 December sees the 70th birthday of the American conductor Michael Tilson Thomas. He has conducted a wide variety of music and is a particular champion of modern American works. He is also a composer and devoted to music education.